Visiting Oslo for about the 8th time in a row it feels like a good tradition to meet Matti Juensuu Sensei on the mat of our Dojo. Once again, around 20 aikidokas have had the privilege to have basic practices in the ‘soft way’ of aikido. We all would like to thank Matti for his patience this weekend, trying to teach us the basics of this ‘soft way’ of aikido. Born in Finland, Matti started practicing Aikido in 1979. After 37 years of study he is now considered one of the most representative Deshi’s (direct disciple) of Seishiro Endo Shihan in Europe. He has lived in Villach, Austria for a couple of years now, where he has his own Dojo and practice group. 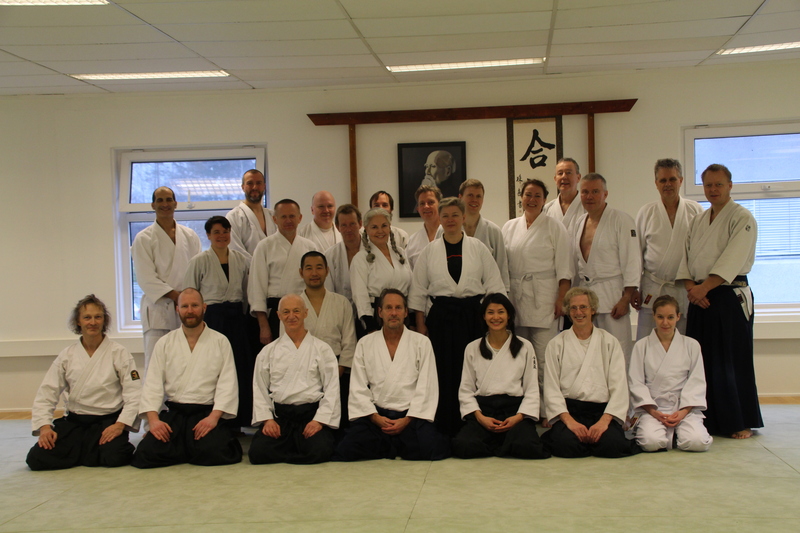 Oslo Aikido Klubb is very proud to have the tradition that Matti visits Oslo Aikido Klubb in the automn every year. NOT BOTH (at the same time)! View pictures from the seminar here. All the photographies are taken by Erik Vanem.